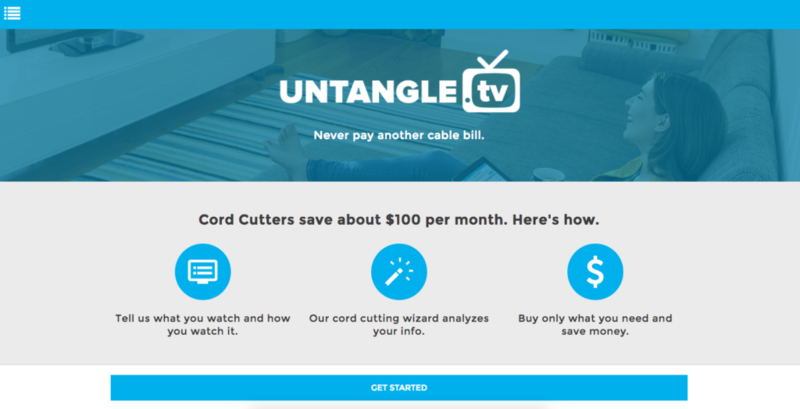 It’s been almost one year since we first launched Untangle.TV! If you want to dump Pay TV but aren’t sure where to start, you’re not alone. We understand that cutting the cord can be confusing and leaves a lot of people feeling overwhelmed. From the seemingly endless list of Internet TV services to finding the right cord cutting devices like antennas and streaming boxes, there are many choices available. How can you watch all your favorite shows? What do you really need? Enter Untangle.TV. It’s the first online cord cutting application that takes the confusion out of cutting the cord. 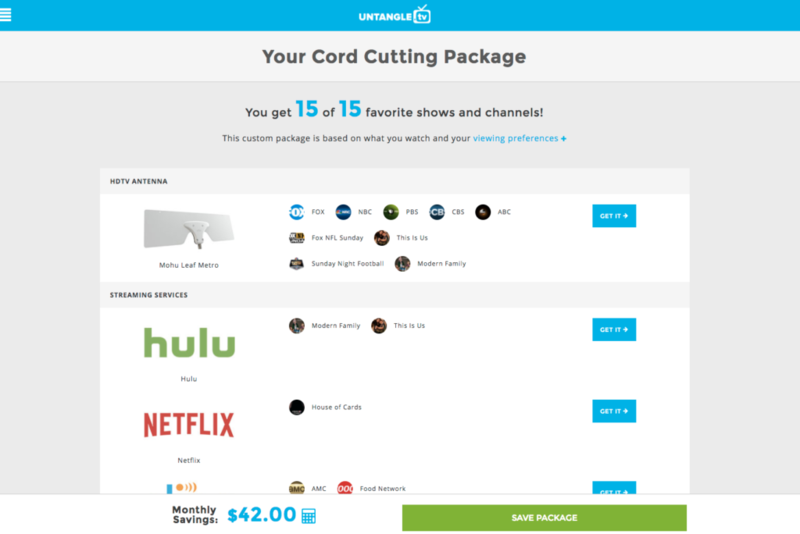 Getting rid of Pay TV doesn’t have to be a difficult process – in a few easy steps, Untangle.TV will create a custom package based on your viewing habits. So How Does Untangle.TV Work? Basically, you answer a few quick questions about how you watch TV. Do you prefer to watch shows on-demand or live? Are you more budget-conscious or tech-savvy? And you tell us all your favorite TV shows and channels. Based on your viewing habits, Untangle.TV creates a recommendation just for you, including what streaming services and devices you’ll need to watch what you love. We’ve also included money saving tips to help you save even more! For example, you might be paying a monthly subscription to watch on-demand TV episodes. If you decide you can live without on-demand, Untangle.TV suggests other options to watch your shows. What are you waiting for? Head on over to Untangle.TV now! Simply tell us your favorite channels and shows, receive a cord cutting recommendation just for you, and never pay another cable bill.